Ask professional commentators to nominate their top five South African wine producers and Kanonkop will be there almost without fail. Why? 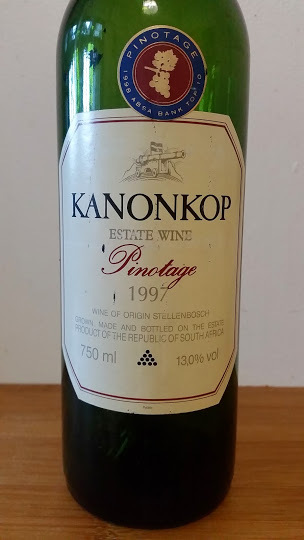 The Pinotage 1997 opened fairly idly last night to go with yoghurt chicken curry is edifying. Forest floor and marmite as you’d expect from a wine 18 years on from vintage but also a core of red cherry fruit still very much intact and more tannic grip than most other SA wines of equivalent age are going to give you. By no means perfect but still very much worthy of contemplation.